Exclusive Design featuring a unique mix of contemporary and classic with our modern Titanium Wideband and an elegant wooden board. Choice of an Ebony or Rosewood board. Available with easel and hanger back for both desktop or wall display. Also available in larger size (10 1/2" x 13"). 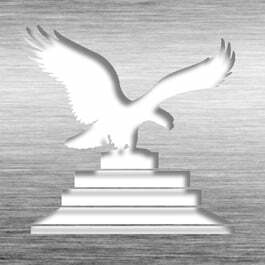 This Patent Plaque - Wideband Titanium TWB-EZ10E is part of our Modern Series of products, check out other products & options available in the Modern Series of our selection. 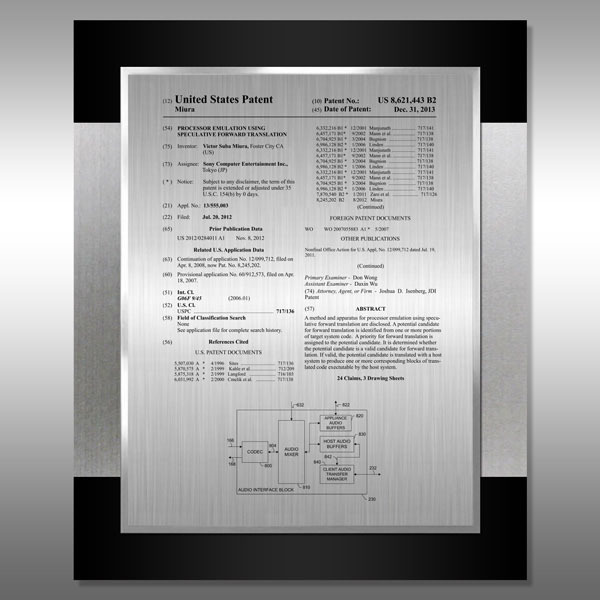 This Patent Plaque - Wideband Titanium TWB-EZ10E can be modified to your requirements and is available for your corporate award programs.